The series entitled “Maintenance” is a combination of natural elements with trivial cultural objects that refer to familiar figures. 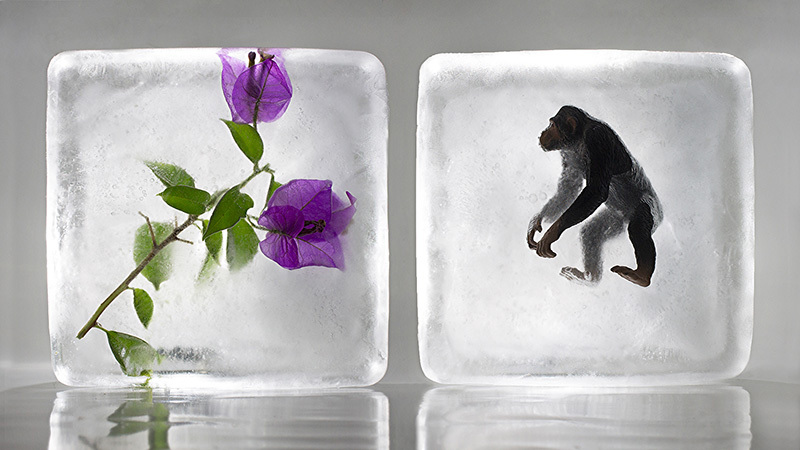 It is a symbolic representation for the conservation of fauna – flora through the ice. The ice blocks were chosen to be placed on a neutral background and were photographed in such a way to refer to monuments.